Drying herbs is easy; I just take a few snips, and place them in a cool, dry place in a paper bag until they're crumbly (6 second video formerly on Vine). I thought I was being clever until I dug up my old how-to from 2009, which was much simpler & would have been quicker on a sunny day! 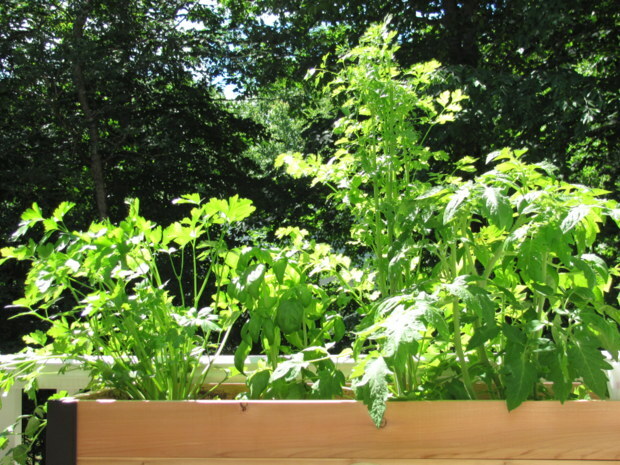 Cut herbs and lay out on cooling rack in a sunny spot. 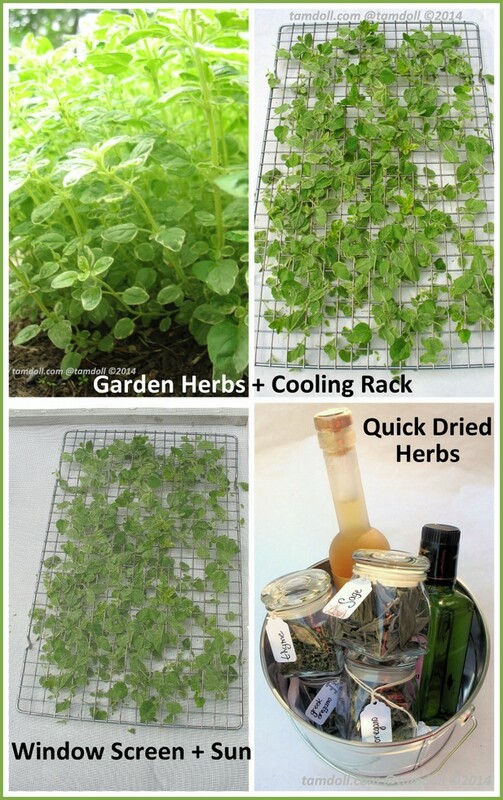 Turn a screened window frame over the rack, so delicate herbs don't blow away. So easy, will definitely use this method on the next sunny day. Drying your own herbs, or have summer gardening tricks to share? Thank you! I needed to be reminded to dry and save some of these lovely herbs that are at their peak right now! AND I love the video! That is quite cool. Must be nice to be technical!! !